Amsterdam-based KLM Royal Dutch Airlines is the oldest global airline still flying under its original name. KLM was founded in 1919. They serve more than 30 million passengers annually, they operate more than 200 aircraft, and fly to 163 destinations worldwide. 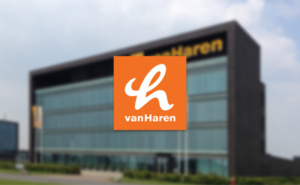 Next to that, they’re also the third-largest private employer in the Netherlands. The average customer flies with the airline 1.4 times per year. As such a KLM customer might not take time to download the KLM’s mobile app to book a flight. For that customer, KLM wanted “a new entry point”. An entry point that provided opportunities for interactions using text or voice: conversational interactions. “A conversational experience allows for that personal approach. It brings warmth and personality to conversations with our customers,” says Ruben Klerks, KLM social media manager. 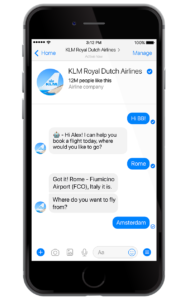 KLM’s first project was a booking bot for Facebook Messenger. 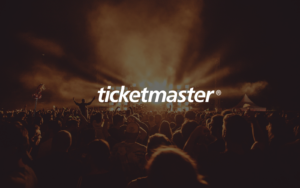 The booking bot was introduced in September 2017. KLM dubbed it ‘BB,’ for Blue Bot (blue being their signature color). BB’s persona is female, friendly, helpful and professional. She is also a bit edgy, and occasionally even show a little touch of humor. “If you want to make a booking through Messenger, BB will ask you for your destination, when you want to fly, etc.,” van der Lee explains. “We’ll show you the options, and you can purchase, fill out your personal details, and get your booking confirmation, all right there on the conversational app.” By connecting BB with the airline’s CRM system, a human agent can quite easily take over if BB is unable to answer. BB was developed within a few months, a cross-functional effort that involved members from marketing, IT, communications, copywriting, UX, engineering, and more. So far, the airline is happy with BB’s strong early performance. 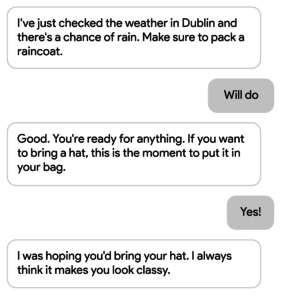 One of KLM’s insights is that they learned that customers love chatting with BB just to discover humorous easter-egg responses to different kinds of questions. 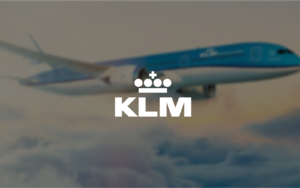 KLM plans to merge packing and the booking experiences. In this way customers can easily tackle the logistics of trip planning and focus on their vacation itineraries.